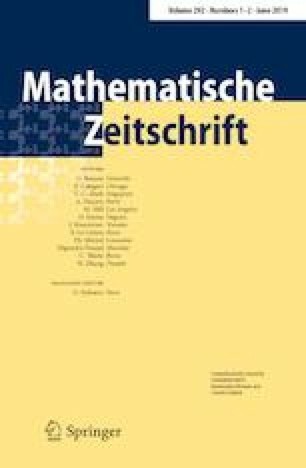 In this paper, we describe a categorical action of any symmetric Kac–Moody algebra on a category of quantized coherent sheaves on Nakajima quiver varieties. By “quantized coherent sheaves,” we mean a category of sheaves of modules over a deformation quantization of the natural symplectic structure on quiver varieties. This action is a direct categorification of the geometric construction of universal enveloping algebras by Nakajima. Supported by the NSF under Grant DMS-1151473 and by the NSA under Grant H98230-10-1-0199. This research was supported in part by Perimeter Institute for Theoretical Physics. Research at Perimeter Institute is supported by the Government of Canada through the Department of Innovation, Science and Economic Development Canada and by the Province of Ontario through the Ministry of Research, Innovation and Science. This paper owes a great debt to Yiqiang Li; his work was an important inspiration, and he very helpfully pointed out a serious mistake in a draft version. The paper also benefited from many helpful comments by an anonymous referee. I also want to thank Nick Proudfoot, Tony Licata and Tom Braden; I depended very much on previous work and conversations with them to be able to write this paper. I thank Sabin Cautis and Aaron Lauda for sharing an early version of their paper with me. I also appreciate very stimulating conversations with Catharina Stroppel, Ivan Losev and Peter Tingley.